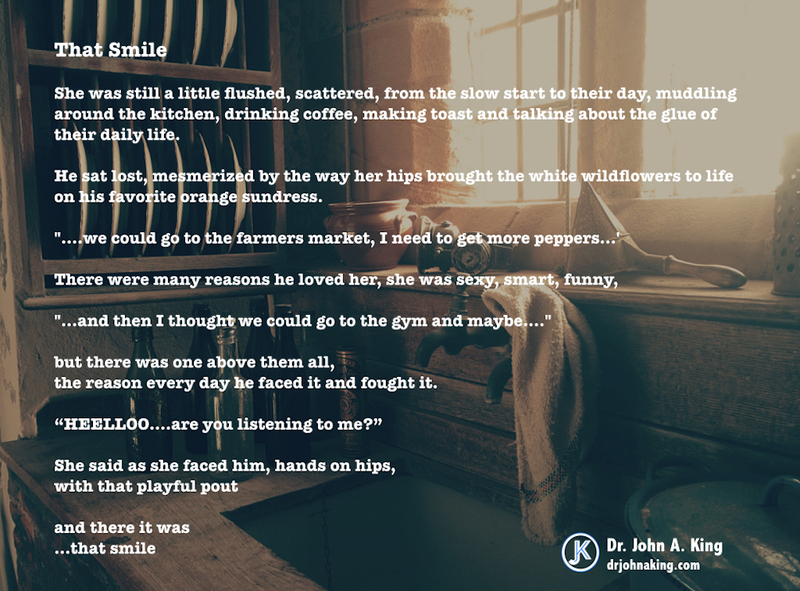 She was still a little flushed, scattered, from the slow start to their day, muddling around the kitchen, drinking coffee, making toast and talking about the glue of their daily life. He sat lost, mesmerized by the way her hips brought the white wildflowers to life on his favorite orange sundress. the reason every day he faced it and fought it.